Alzheimer’s Australia (Qld) was founded in 2002, by and for carers in response to public concern about the lack of information, resources and appropriate residential care for people with dementia. From these modest beginnings, they have grown into a significant organisation. With over 150 employees and volunteers across Queensland. Alzheimer’s Australia (Qld) is the Queensland member of Alzheimer’s Australia the peak national charity for people with dementia and their families and carers. 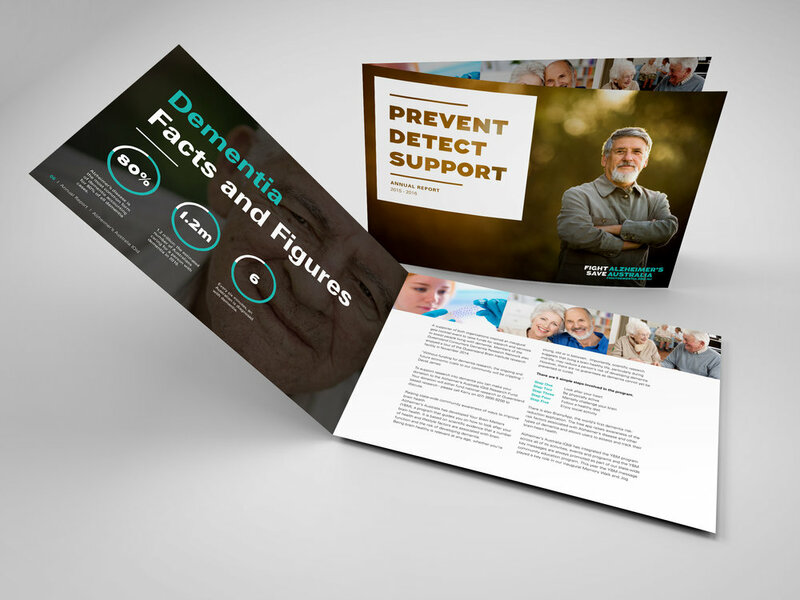 Having worked with Alzheimer's Australia (Qld) closely for more than two years, we were asked to design an engaging annual report that visually highlighted key milestones, broke down information into manageable portions and proudly showcased the achievements of the not-for-profit organisation.